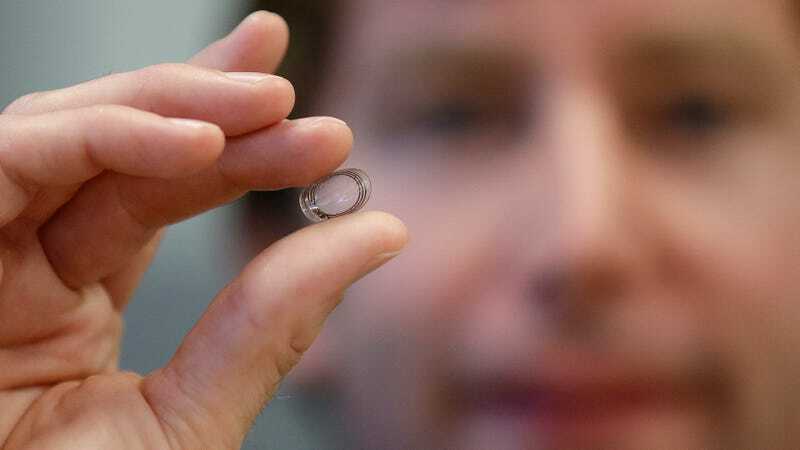 Brian Otis, Google X project lead, holds a contact lens Google was testing to explore tear glucose in 2014. Alphabet has halted a project under its biotech division Verily that aimed to create smart contact lenses for people with diabetes. The ambitious, years-long endeavor aimed to measure glucose levels in tears using on-lens sensors. It’s a notable move for the company and one that wasn’t without its warning signs. Experts and Google employees have previously criticized the project, with Stat reporting in 2016 that one former Verily manager described the smart lens as “slideware,” or a project that sounds good in theory but is limited in its potential beyond a PowerPoint presentation. Defending its technology and research at the time, Verily told Stat: “As with all true innovation, some projects can and will fail.” Still, Verily stated Friday it is committed to its other projects focused around diabetes, including other affordable and unobtrusive glucose sensing methods.